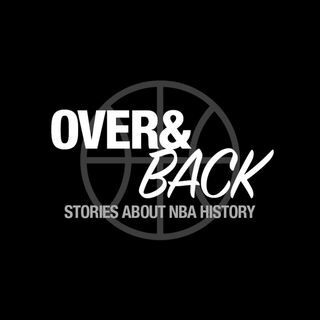 We look at the 15 games in NBA/ABA history that have lasted four overtimes or more, starting with the Bulls 168-161 win over the Hawks on March 1, 2019, in the latest Over and Back Classic NBA Podcast. Jason and Rich also look at the 2017 classic between the Hawks and Knicks, with Paul Millsap giving an iron-man performance in 60 minutes with 37 points and 19 rebounds and Carmelo Anthony scoring 45 and twice forcing extra periods with clutch shots. Then we dig into the only six-overtime game ... See More in NBA history (Indianapolis vs. Rochester in 1951), a 75-73 pre-shot-clock yawner in which future legendary Knicks coach Red Holzman reportedly played 76 minutes and scored 3 points. We also discuss the only two five-OT games: Dolph Schayes leading Syracuse past Anderson (Ind.) 125-123 in the newly merged NBA's first season in 1949, and Dale Ellis scoring 53 points for Seattle in a 155-154 loss to Milwaukee. We also look at a 1953 Boston-Syracuse battle with Bob Cousy scoring 50 points, Bill Walton's first-ever NBA game between Cleveland and Portland in 1974, Julius Erving with a career-best 63 for the Nets against the San Diego Conquistadors in 1975, Cleveland giving Magic Johnson and Kareem Abdul-Jabbar everything they could handle in 1980, Fast Eddie Johnson coming through in the clutch for Atlanta vs. Seattle in 1982, Jim Paxson scoring 41 for Portland over the pre-Jordan Bulls in 1984, Joe Barry Carroll caring a lot for Golden State against New Jersey in 1987, and Phoenix (with Jason Kidd, Kevin Johnson and Steve Nash) topping Isaiah Rider's Trail Blazers in 1997. In addition, we discuss a few more recent four-overtime thrillers: Joe Johnson and the Hawks topping Millsap and the Jazz in 2012, and Detroit getting the better of Chicago in 2015.